Stop posting blurry pictures and photos of people’s backs. Top three rules: include people, make them high resolution, use bold colors and textures. In a world of micro attention spans and information overload, it’s hard to get noticed on social media. Especially as a shoestring budget nonprofit, driving more traffic to your page can seem complicated and overwhelming. But there’s one easy, concrete approach that will guarantee you more attention on social media: take better photos. When taking photos for social media, the #1 rule is: include people. Ideally, you also want eye contact. Why? Because we love to look at ourselves. Seriously. Psychologically, we’re attracted to other human faces out of a empathetic neurological response. This explains why selfies are so popular. And also why magazines feature people on the cover (usually making direct eye contact). Close-up portraits reliably sell more magazines than covers with inanimate objects. When we see another human face we physically can’t help but look. Close ups are great for social media. They’re intimate, they’re vulnerable, they’re powerful. Challenge yourself to get closer. Smartphone cameras have the advantage of being smaller and less invasive. So, lean in! You’ll get a more compelling and visually interesting photo. Many nonprofits work with vulnerable populations or children. In these cases you’ll need specific permission to use photos of faces. Read our blog post on photo usage for nonprofits for the nitty gritty details of photo usage and release forms. Blurry photo? Just…don’t. Make sure your photos are high resolution (default resolution on your smartphone camera should do the trick), and in focus. Nothing will make someone scroll away faster than a blurry or pixelated photo. You don’t have to be an oil painter to understand complementary colors. As a visitor scrolls your social media feed, they are attracted to bright pops and complementary palettes. But don’t think too hard about it – your brain intuitively knows which colors look great together. Look for colors that are bold, bright, and crisp. Photos with vivid textures are captivating. The complexity attracts the eye and tells a story. 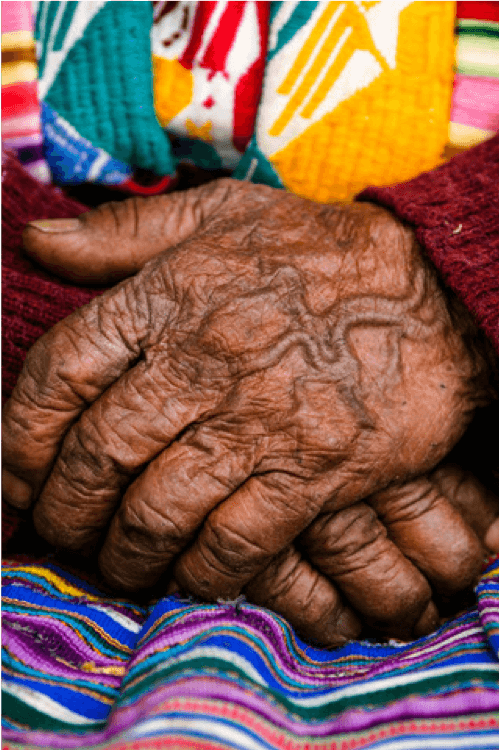 In this photo a woman’s life story seems to unfold in a picture of her weathered hands and colorful weavings. Be careful that there are no more than one or two bold textures at once. Too many will make the photo confusing, rather than compelling. The human eye needs scale in order to understand a flat, 2D photo. 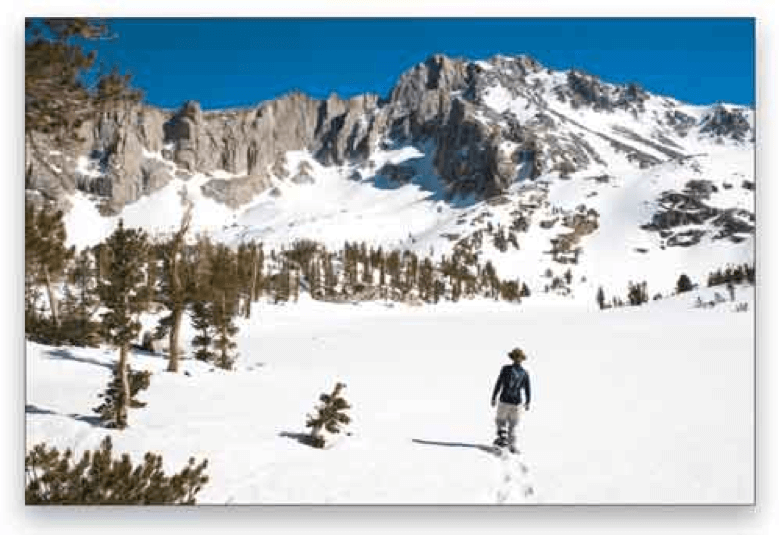 When taking photos of landscapes or vistas, consider including a person for scale. Not only does this meet rule #1, it also helps the mind understand the expansiveness of the scene in comparison to our own (tiny) size. 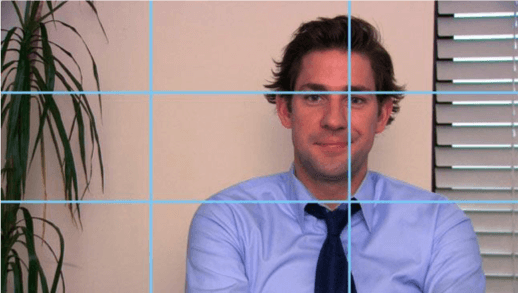 All hail the “rule of thirds.” The gold standard of photography basics, this trick will help you better compose your photos in a snap. 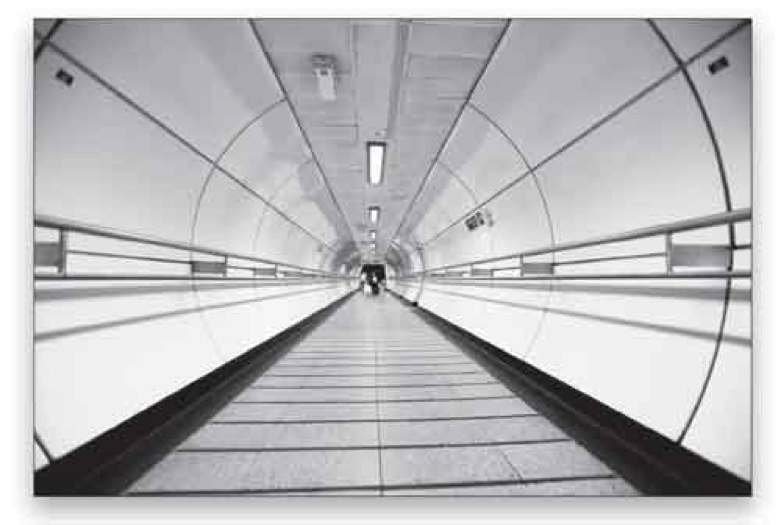 In fact, the rule of thirds is all around you, from TV shows and movies (e.g. all testimonial shots in The Office), to nearly every wildlife photograph you’ve ever seen. And the good news: it’s super simple to master. Here’s how: in your mind’s eye, divide your screen into three equal parts. Place the subject of your photo in the first or the third section, rather than the middle. The visual offsetting of the subject brings other details in the frame into play, and makes the photo instantly more interesting. Use the “grid” option inside your smartphone camera app. 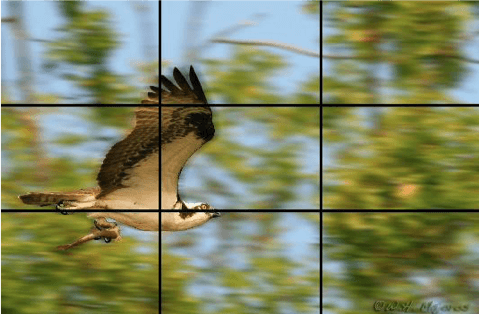 It will superimpose the rule of thirds grid on top of your screen. Place your subject where one of the grid lines crosses. Voila! Impeccable rule of thirds composition. 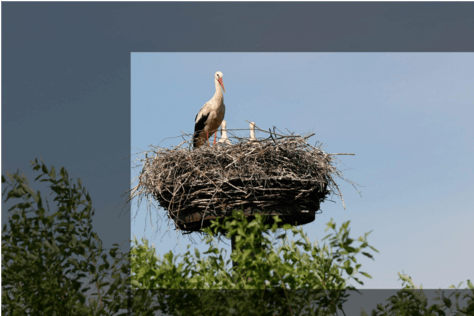 Didn’t compose your photo according to the rule of thirds? Don’t sweat it. Crop it.